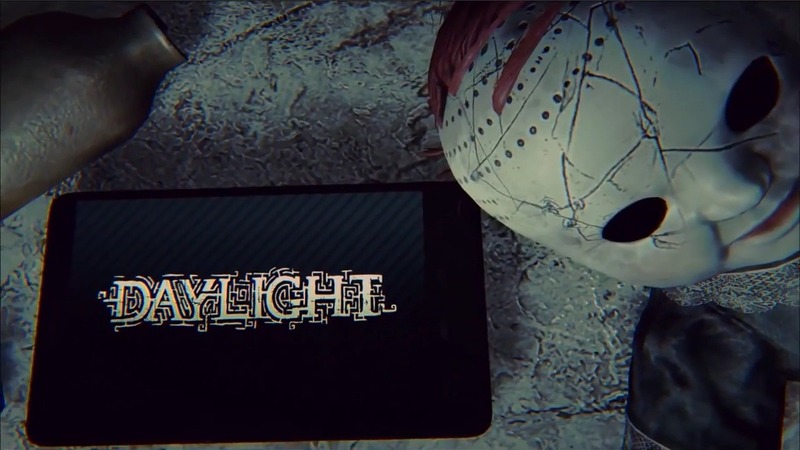 Daylight’s story begins with a young woman named Sarah awakening in an abandoned hospital, having no recollection of how she got there. All she has with her is a cell phone which soon emanates the voice of man who tells her that her goal is to uncover the hospital’s secrets. It’s made clear soon enough that there are spirits who want to harm Sarah as she explores the hospital and the adjacent prison, creating a rather scary situation for the frightened and confused protagonist. Sarah must push through the darkness to unveil the secrets that were covered up in the ruins of the hospital – including her own past. Much like other games in this particular sub-genre of survival horror, the story is very convoluted throughout the entire game. You must pick up newspaper clippings and hand-written notes which are from the hospital’s past to truly grasp what has happened, why the place is haunted and who is haunting it. As you progress the male voice on the phone cryptically guides you along, providing some insight to what is happening around Sarah. What he is saying makes little sense at the time and his general purpose for being in the game, as well as what he is truly talking about, isn’t revealed until the finale of the game. Initially, my thoughts upon completing the game were that the overall narrative was weak but after thinking about it a little more and letting it settle in I actually ended up finding the game to be really well done. This is a video game first for Jessica Chobot as she not only wrote the game itself but also voices the main character, Sarah. 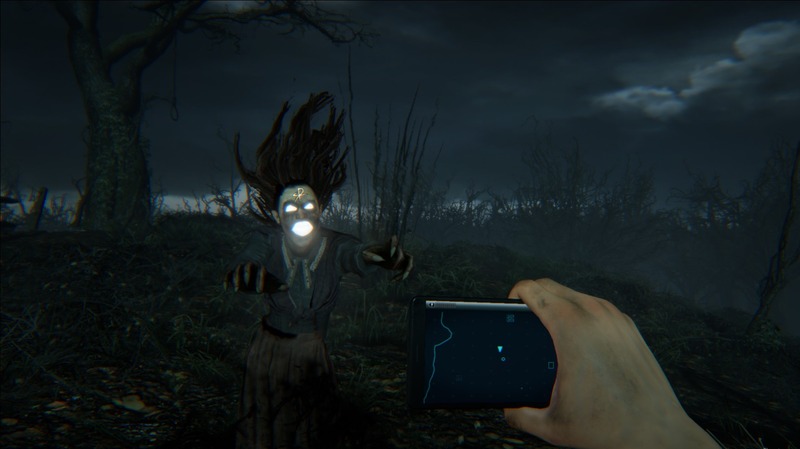 Daylight is played through the first-person perspective using the phone as a map/light source, it is held out in front of you throughout the game making it easy to view and use. Glowsticks are used for extra lighting as well as to show secrets objects and openable containers. Unlike other games in the genre, there is a slight level of fighting back against the enemy in Daylight. You aren’t armed with a gun or a knife, but rather flares. When a ghostly enemy appears, lighting a flare will burn it away from you for a short period of time. This created a level of difficulty not found on other games of the genre, I found, as you occasionally have to face the enemies as opposed to only being able to run from them. Throughout the game you are encouraged to acquire remnants, or notes/logs from the past, that are scattered throughout each level. 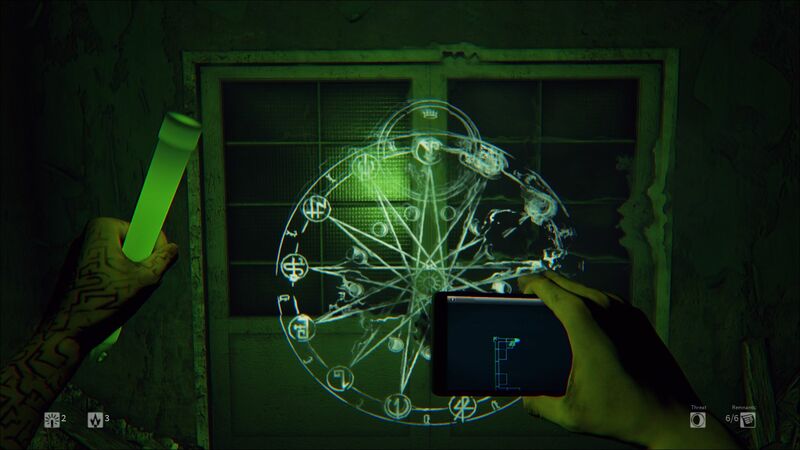 Each one reveals a bit more about the hospital’s past as well as marks Sarah’s left arm, which draws the enemies to her and makes progression a challenge. The goal in each level of the game is to collect these remnants and find a mysterious key to unlock the next area. The key is usually an artifact which is significant to the hospital’s past, such as an old doll or a bible. The levels are laid out like mazes, creating a challenge when trying to find each remnant, the key and the door leading into the next level. This is both a good and a bad thing, it creates a confusing dynamic which goes along with the narrative but makes it hard to escape from enemies if you are carrying the key or have run out of flares, leading to death and a restart of the level. The gameplay as a whole tends to be a bit frustrating. I found that the maze-like level structure and randomly generated items and areas make it difficult to get through levels at first. Once you get the hang of it though, it seems to make more sense. I honestly cannot say that this is a flaw in the game as it may have just been my fault as a player. There were times when I was more angry than frightened, which seemed to negate the overall point of the game. Visually, Daylight exceeds in both graphical content and creepiness. While haunted prisons and hospitals tend to be overdone in survival horror games, making them less frightening and more predictable, this game was able to succeed in making the setting feel fresh. The graphics are crisp and smooth, though some textures took a little long to render in certain areas. The overall ambiance in the game was admirable, I found the lighting, sound effects and voice work to evoke a very creepy feeling which works perfectly with the narrative and genre. Load times on the PlayStation 4 version are atrocious, Daylight takes longer to load between deaths than larger, more graphically demanding games like Tomb Raider or Battlefield. I wouldn’t normally mention load times in a review but it was very noticeable and in a way it took me out of the game as I ended up distracting myself with my phone or computer to pass the time. As I mentioned previously, Jessica Chobot did a fantastic job with the writing of the game as well as voicing Sarah. She was able to create a story that was not only a bit of a thinker but also really unique and intriguing. The voice work was very well done, creating the right amount of fear from the protagonist which creates fear in the player. Being as Daylight was her first writing endeavor in the video game department, I think she did a great job and should be recognized appropriately. Overall, I found Daylight to be a decent enough game. It wasn’t bad but it also wasn’t particularly great either. At times I really enjoyed the game but other times I found it to be more of a hassle than an adventure. I’d definitely recommend it if you are into the survival horror genre as much as I am, but if you aren’t into it or are hard to please then I would say to avoid it. The narrative is worthwhile and thought out but the gameplay is droll, regardless of how inventive it is. Daylight didn’t seem to see the light of day for most, but I do think that it is a worthwhile adventure for fans of survival horror games.